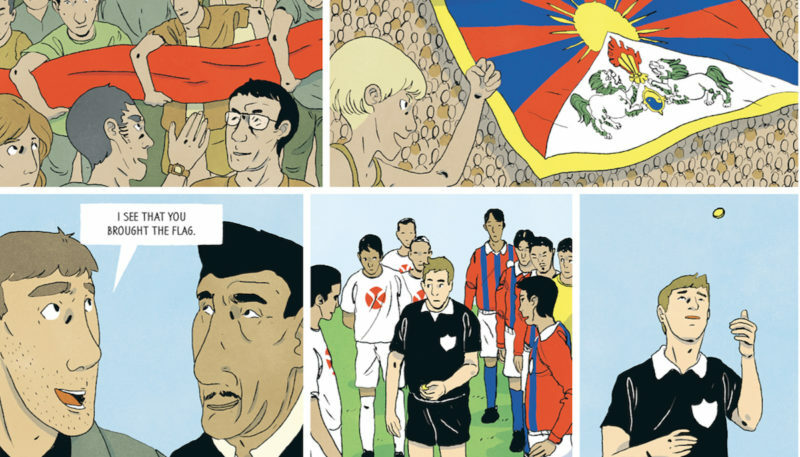 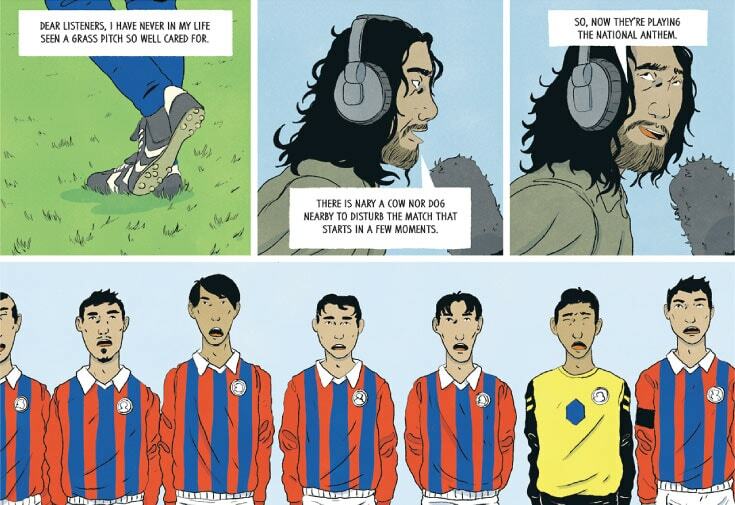 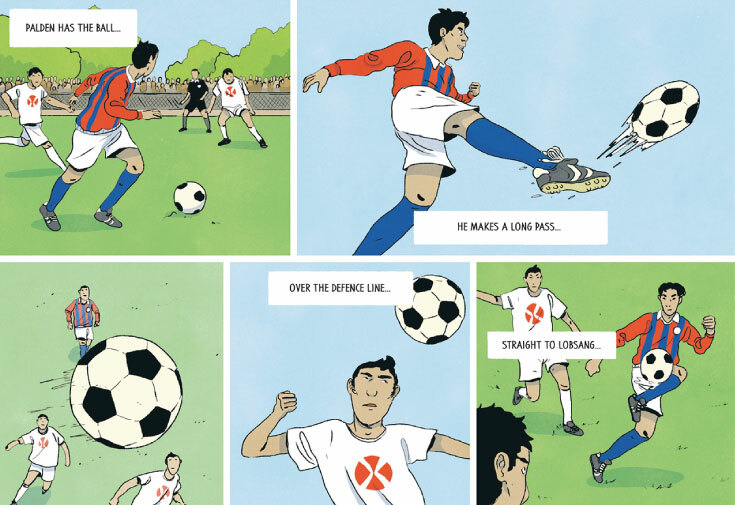 In his graphic novel, Dreams in Thin Air, Michael Nybrandt explains how he started the Tibet National Football Team to help the Tibetan people showcase their national pride. 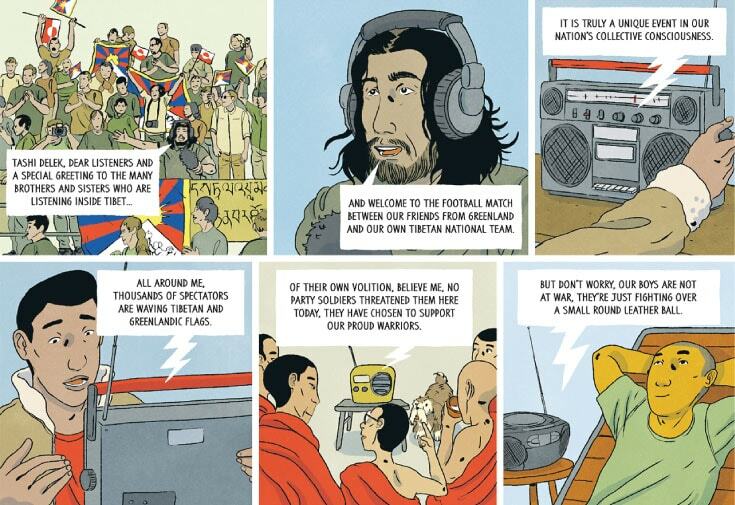 Twenty years ago, Danish journalist Michael Nybrandt was cycling across Tibet when an unexpected storm forced him to seek shelter in a Buddhist monastery. 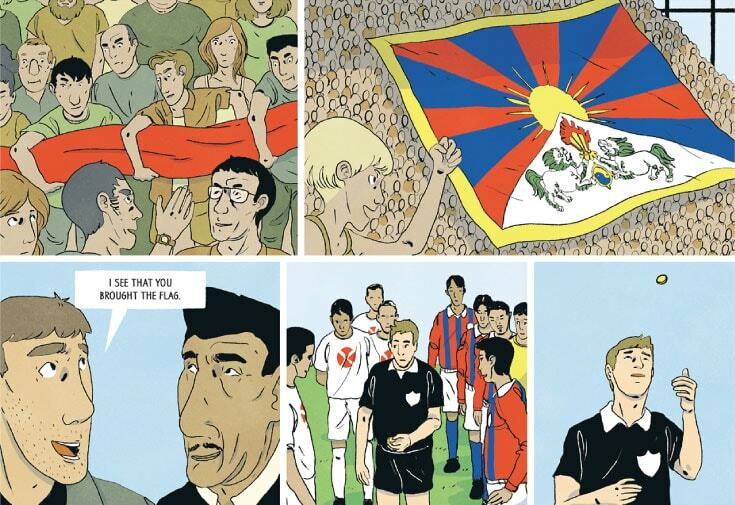 While there, he witnessed the Tibetan people’s passion for soccer and envisioned reviving the national team, which was disbanded when China invaded Tibet in the 1950s. 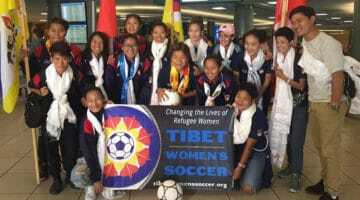 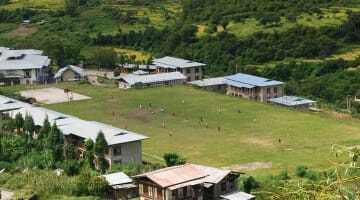 Hoping to give Tibetans a way to showcase their national pride, Nybrandt founded the Tibet National Football Team. 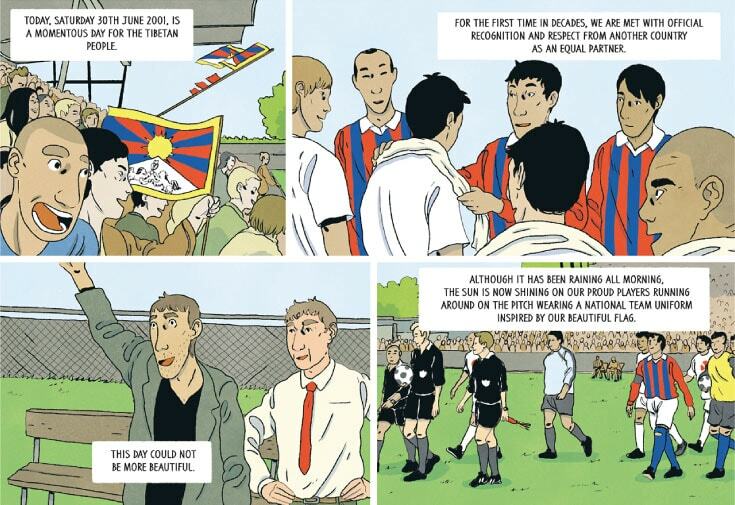 With the help of fellow Tibetan soccer enthusiasts, after years of preparation, bureaucratic problems, and political turmoil, Nybrandt organized a match between Tibet and Greenland in 2001. 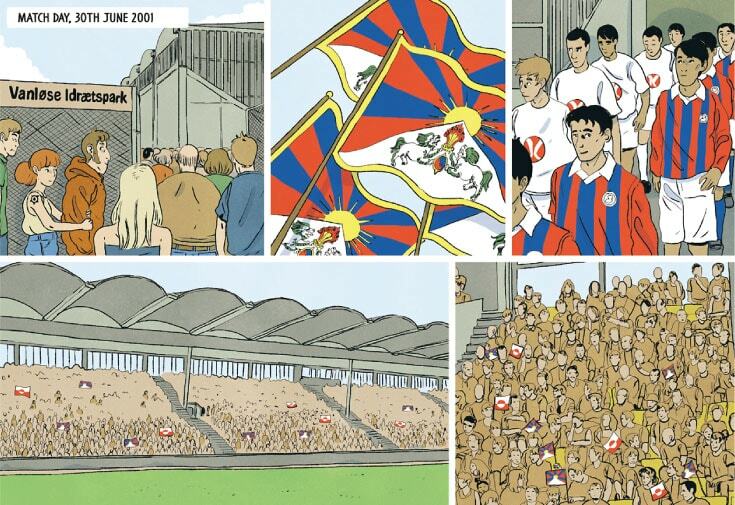 More than 5,000 spectators attended the game, and it received international media attention. 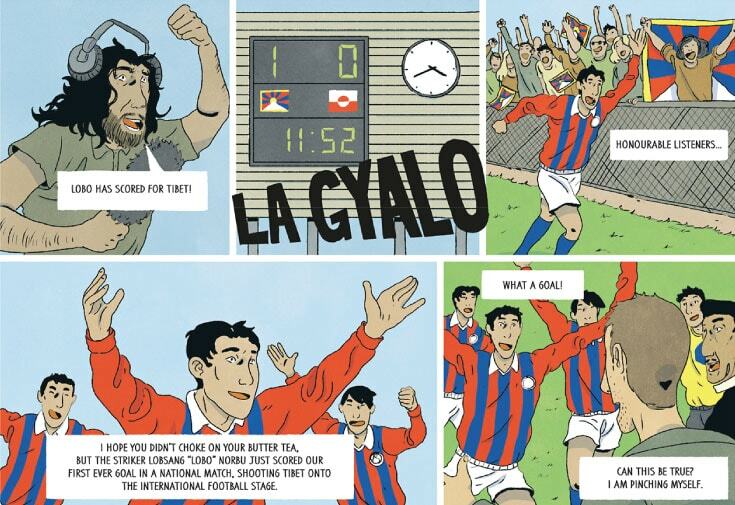 Above is an excerpt of Nybrandt’s Dreams In Thin Air, chronicling the team’s long-awaited, hard-sought match. 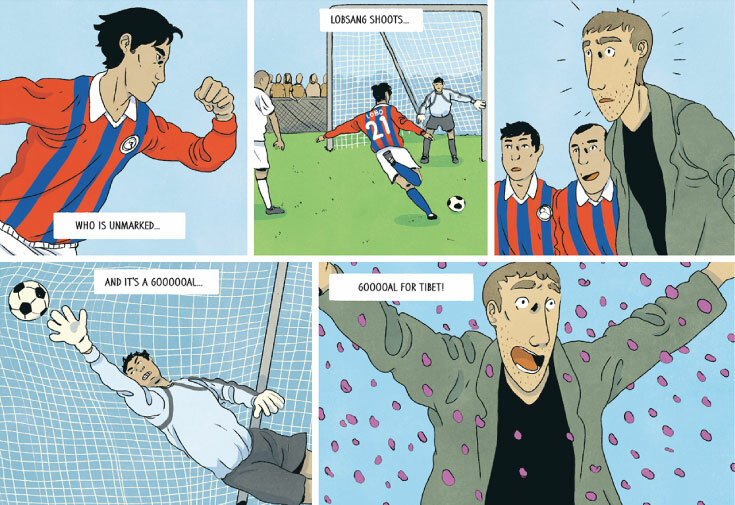 The 12th Annual Lion’s Roar Online Auction, ending on November 26, features a copy of Dreams Into Thin Air.